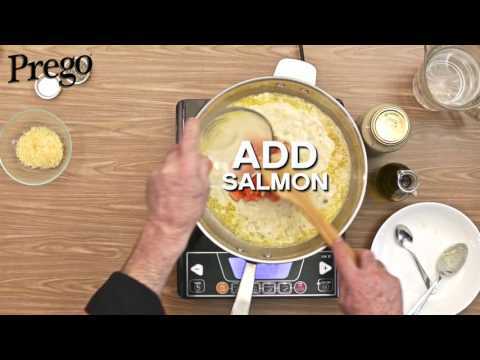 This Creamy Salmon Carbonara is rich, decadent, and full of flavor. It's also easy to make for you to impress your mate! Sauté onions and garlic in butter until fragrant, cook over medium heat for 2 minutes. 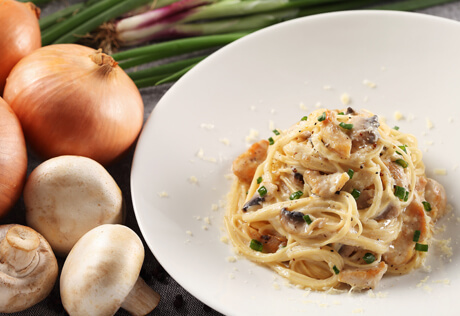 Add PREGO® Carbonara Mushroom pasta sauce into the pan and stir. Season with salt and pepper. Add salmon, simmer sauce for 4-5 minutes. Finish sauce with grated parmesan cheese. 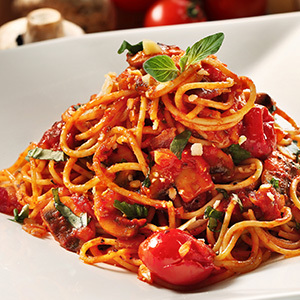 Serve sauce over the cooked fettuccine. 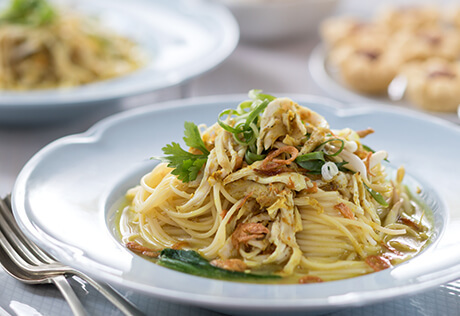 GOES WELL WITH … Satay, rendang or other Raya dishes.